San Antonio Party Bus has a state-of-the-art fleet of party buses in many sizes in order to meet the various needs of our guests. Whether you are planning a tailgate party to the next Spurs game or need transportation to and from your wedding, our party buses are ready to move you in style. Give us a call to book your party bus today before it's too late! Our 25 passenger party bus is perfect for larger parties and group events. Take our party bus to concerts, birthday parties, night on the town, Spurs games and even proms. Our light shows get the party off to a great start while our amazing sound system really gets things heated. Our 25 passenger party bus is perfect for any event, call to book today! Our 14 passenger Hummer limo is perfect for small events and office parties. 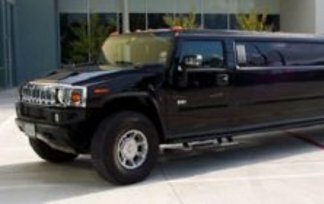 Pile up your coworkers and friends as our stylish Hummer limo escorts you and your guests to and from your destination. Enjoy the soft leather seating, flatscreen TVs, relax to the mood lighting, or get the party started by having fun with the ceiling mirrors. The possibilities truly are endless with our Hummer limo, call to book today! 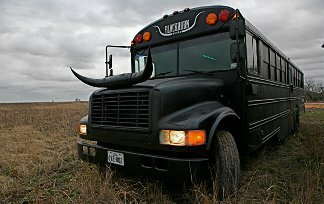 Book your San Antonio Party Bus today! Call 512-942-7443!